The holidays can be fun, but it can also cause a lot of stress. After all, most people don’t have hundreds or thousands of extra dollars lying around, which means buying holiday gifts can put a big dent into your financial situation. Many people will put their holiday shopping on credit cards, but this usually creates havoc in the months following the holidays as you struggle to pay this off. Instead of ruining your credit or just adding to the stress, you should be prepared to pay for your holiday shopping in other ways. 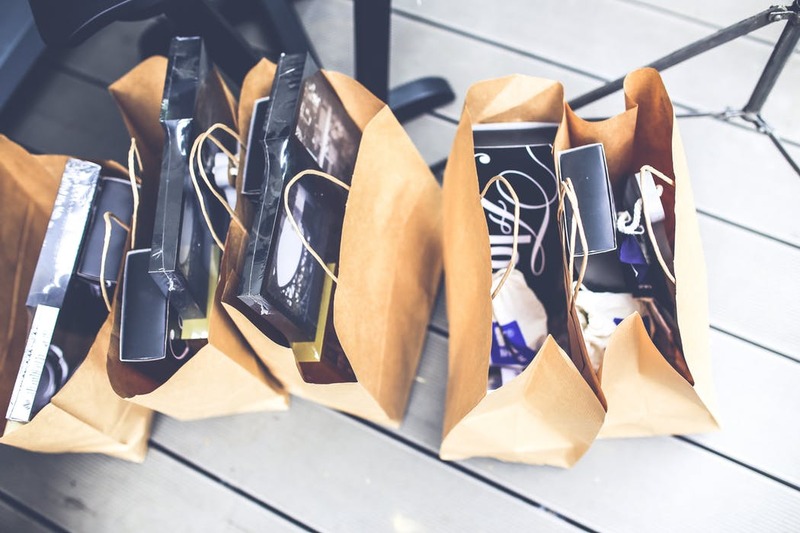 Here are some six unique ways to save money for holiday shopping. While it’s always nice to treat yourself to something when you get a gift card, you can also be smart and put these gift cards away until the holiday season. Whether you get gift cards for your birthday, or you earn free gift cards at stores like Target for making certain purchases, saving all these up for a year will provide you with a decent amount of money to do your holiday shopping. Along with gift cards, you can also save your rewards earnings and use those towards holiday shopping. For instance, if you have a credit card that provides you with cash back, save that cash and put it towards your holiday shopping. This way, you can handle all your holiday shopping without adding any more debt to your life. Plus, it’ll feel like you’re shopping with free money, and that can be fun all in itself. There are a variety of ways for you to earn some extra cash, but instead of putting it toward something right now, save it all and use it for the holidays. For instance, sell old furniture, clothes, or other knickknacks you don’t want and save the cash. You can also look for junkyards near me and cash in an old car or other vehicle parts that are just taking up space in your garage. If you have a certain talent, such as sewing, drawing, or anything else that could make you extra cash, advertise your services and put that money away toward your holiday fund. This will give you some breathing room and help you afford your gifts. A fun way to save money for the holidays is to save certain types of cash. For instance, opt to use cash instead of your credit card or debit card. When you get certain bills, such as $1 or $5, put those bills into savings and use for the holidays. This is a great way to put money aside without really noticing it’s gone. You can also do this with change. Maybe you put all your change away to cash in for the holidays, or maybe you just save certain ones, such as quarters or dimes. Every little bit can help, and you’ll be happy to have extra cash for the holidays. Technology today is thriving, and apps can be a great way to help you save money. For instance, apps like Digit will round up the purchases you make on your debit card and put that money into a savings account. For instance, if you spent $2.85 on coffee, digit would round that charge to $3 and put that $.15 into a savings account. It may not seem like much now, but if you use your debit card often, this can turn into a great savings. There are other money-saving applications too, so find the one that works best for you and your specific needs. Another way to save money for holiday shopping is to add a $10-$20 gift card to your regular purchases. For instance, when you grocery shop, buy a gift card and put that away for holiday shopping. Chances are you won’t really notice the extra $10 or $20 being added to your grocery budget, and you’ll have a decent amount saved up for when shopping season hits. The holidays are meant to be a fun time, but they shouldn’t cause you extra stress because of the money you need for gifts. Instead, uses these tips to save up some extra money for the holiday season and have a better time knowing you’re buying all these great gifts without putting yourself in a bad financial situation.